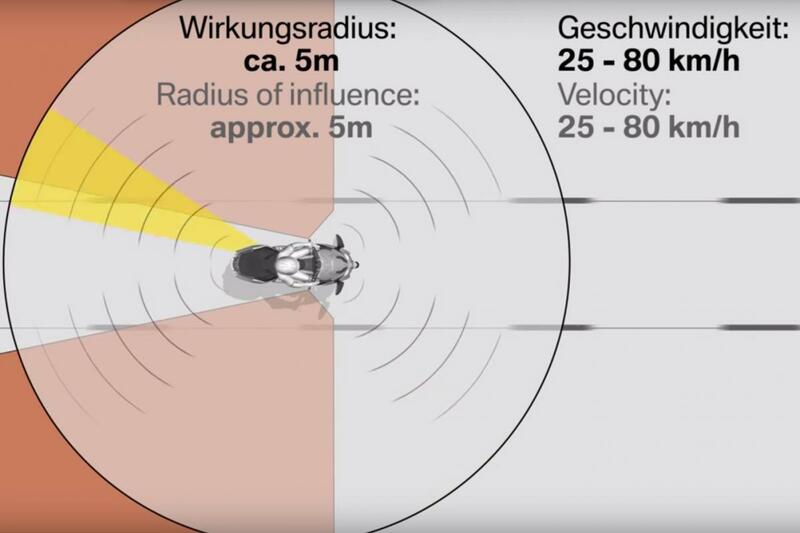 BMW has updated its max-scooters and given the C 650 GT an optional 'Side View Assist' blind-spot warning system - and here's a video showing how it works. The system uses ultrasound sensors at the front and rear of the scooter to detect objects in the rider's blind spot up to a distance of five metres. When one is present, and travelling within 6.2mph of the speed of the scooter, a yellow warning triangle is illuminated in the left or right-hand mirror base, depending on which side the object is on. If the rider then indicates in the direction of the object, the warning triangle will start to flash. The system works when the scooter is travelling between 15 and 80mph. BMW says it's a world first for a two-wheeler.